Next > Happy Birthday Balloons and Stars….. The elephant looks like he has been die cut – so neatly done! I really like the way you have perched him on the sentiment too. A great design and an adorable card! Such a adorable card!!! so cute! Adorable – that die is fantastic and you are right it is a perfect focal point!! 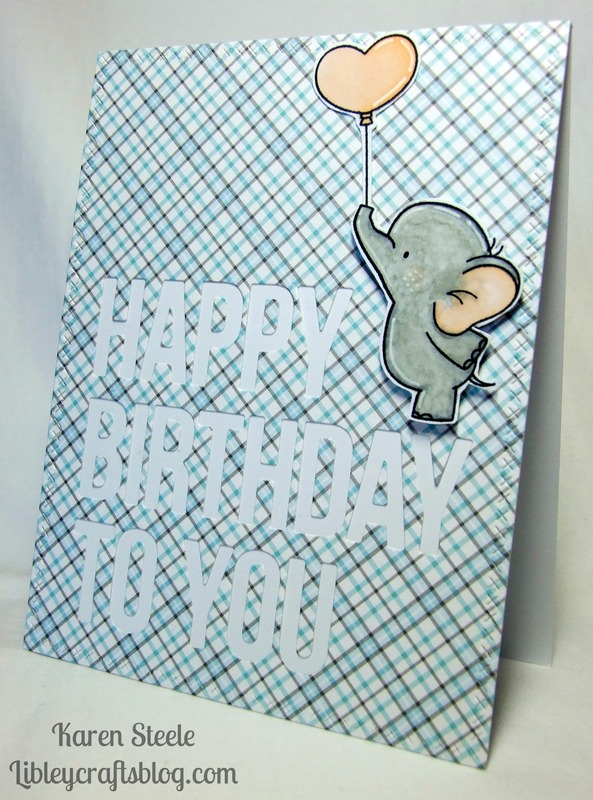 A very sweet bday card with elephant holding a balloon!! Love the negative sentiment…perfect!! Super sweet little image and love that sentiment die! I’m sure it’ll be put to good use. 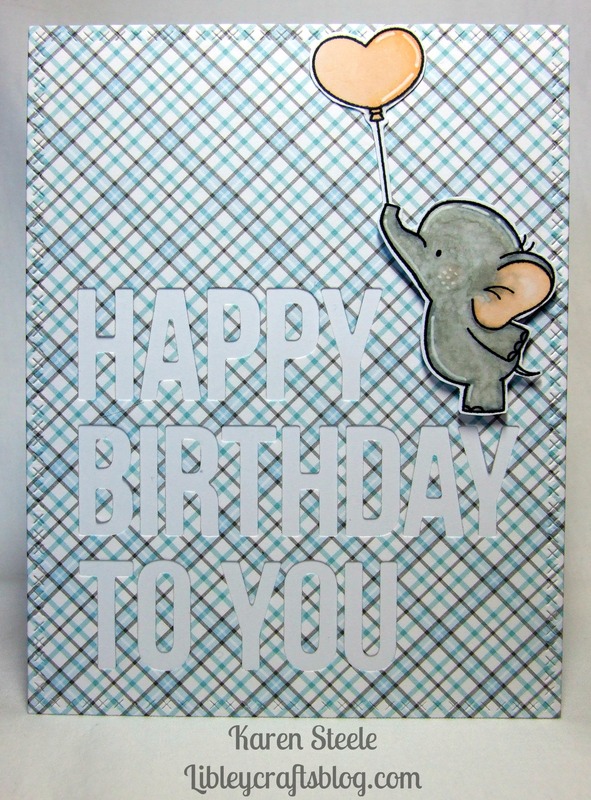 Fabulous card, Karen and you´ve did a great job with cutting the elephant out ! !